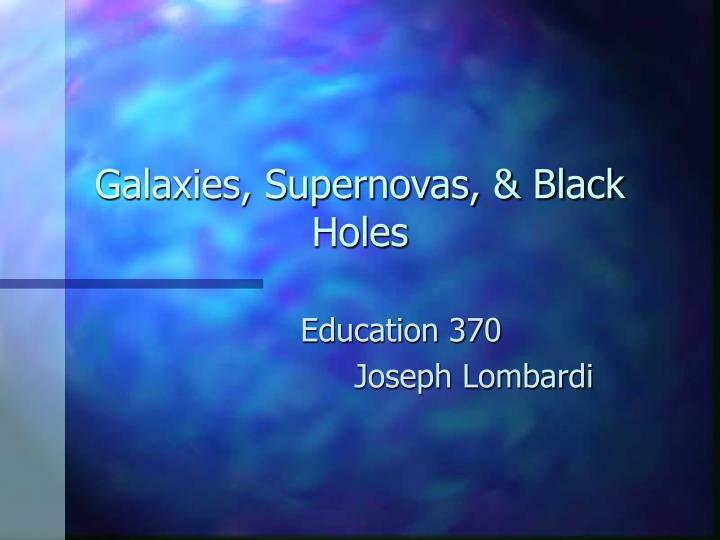 Galaxies, Supernovas, & Black Holes. 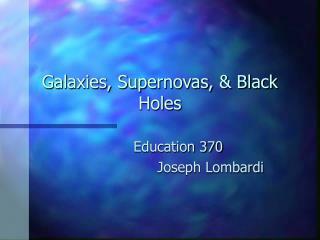 Education 370 Joseph Lombardi. Galaxies. 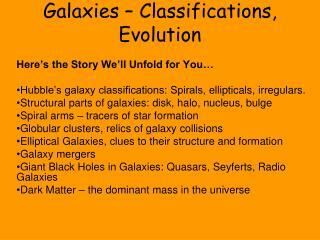 Galaxies are defined as vast collections of stars, dust, and gas held together by mutual gravitational attraction. Galaxies are defined as vast collections of stars, dust, and gas held together by mutual gravitational attraction. 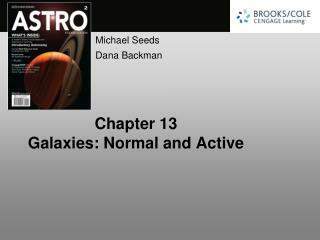 Galaxies may be viewed as the basic building blocks for the large-scale visible structure of the Universe. 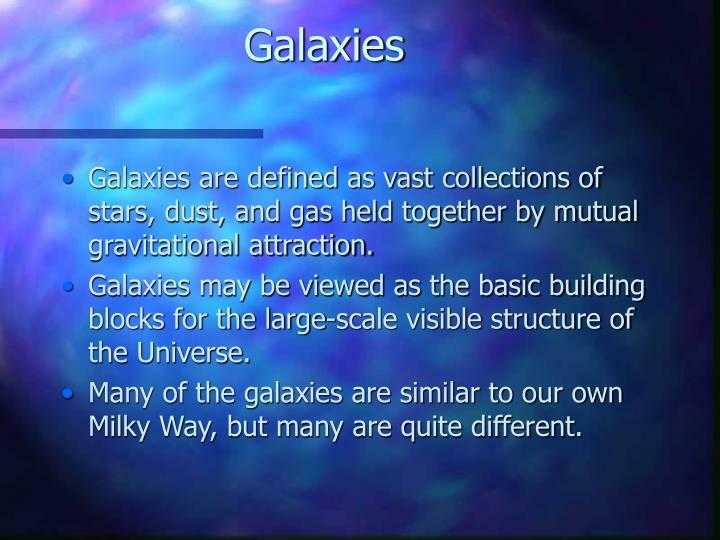 Many of the galaxies are similar to our own Milky Way, but many are quite different. 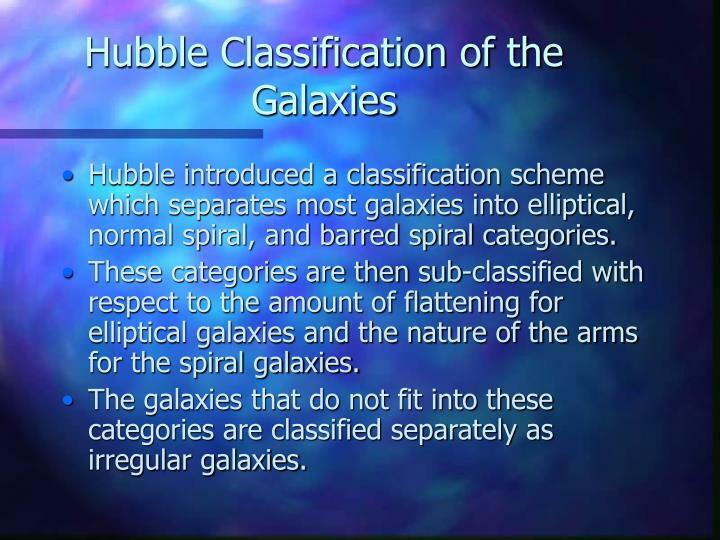 Hubble introduced a classification scheme which separates most galaxies into elliptical, normal spiral, and barred spiral categories. 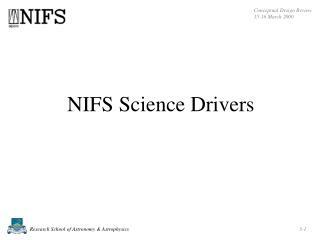 These categories are then sub-classified with respect to the amount of flattening for elliptical galaxies and the nature of the arms for the spiral galaxies. 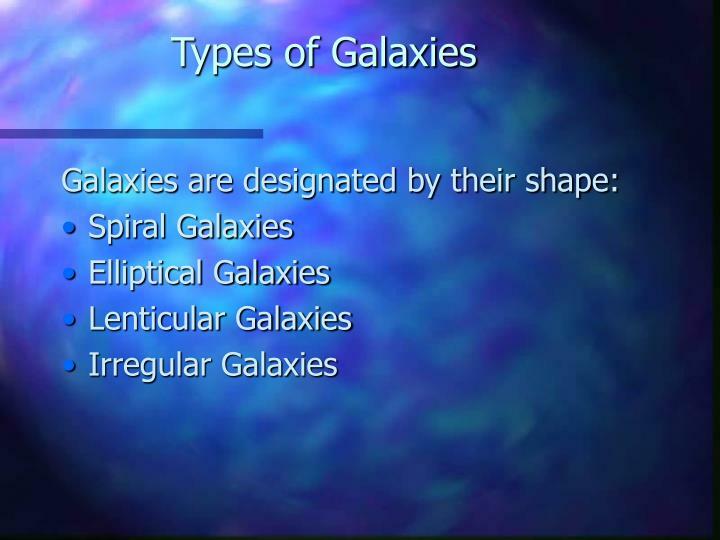 The galaxies that do not fit into these categories are classified separately as irregular galaxies. Spiral galaxies are so named due to the bright arms of star formation within the disk that extend roughly logarithmically from the bulge. The spiral structure is associated with active star-forming regions. 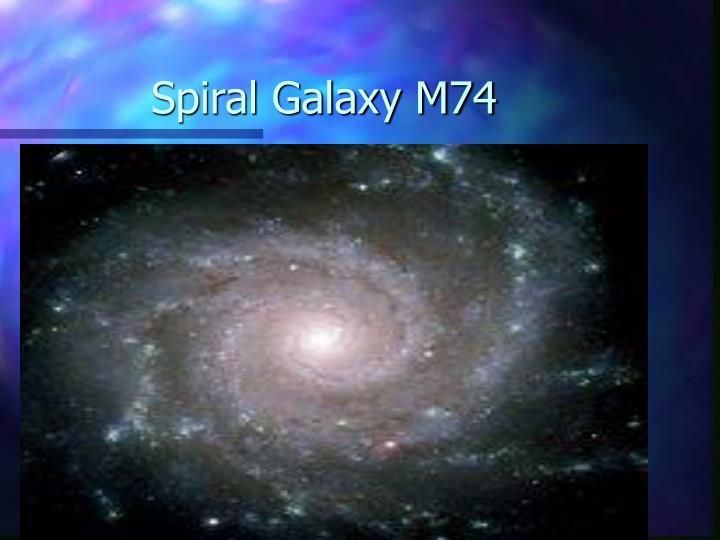 Many hot, young blue and blue-white stars make the spiral arms extremely visible. 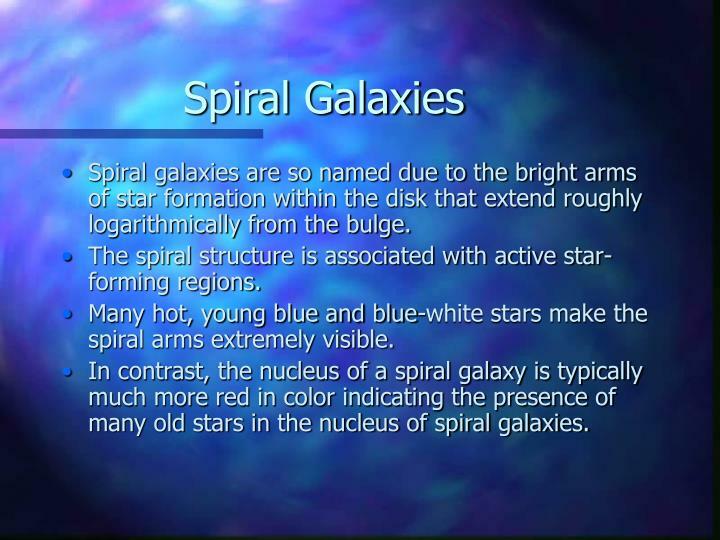 In contrast, the nucleus of a spiral galaxy is typically much more red in color indicating the presence of many old stars in the nucleus of spiral galaxies. 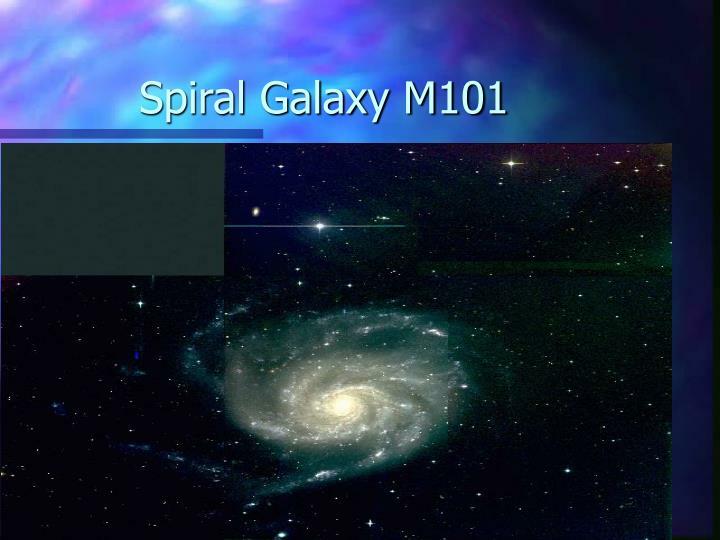 The range of masses for spiral galaxies is approximately for spiral galaxies is ~ 109 – 1012 solar masses, with the typical mass being ~ 1011 solar masses. The typical diameter of the visible disc is 5-100 kpc. 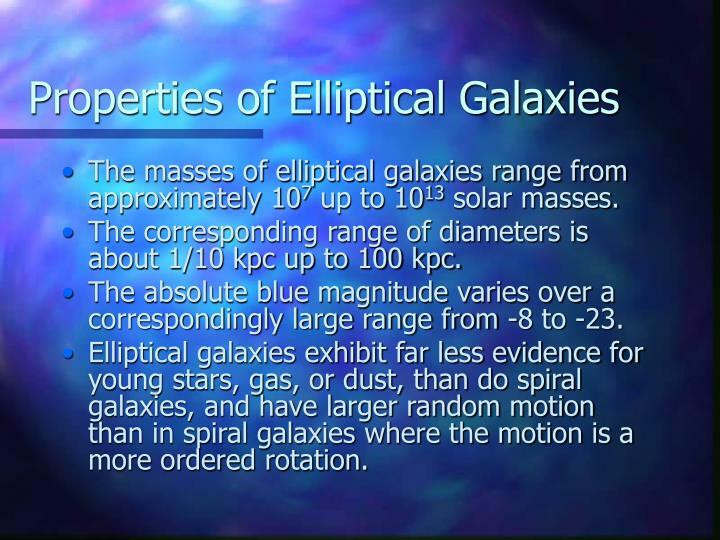 Many galaxies take the form of ellipsoids, with no spiral structure, or flattened discs. 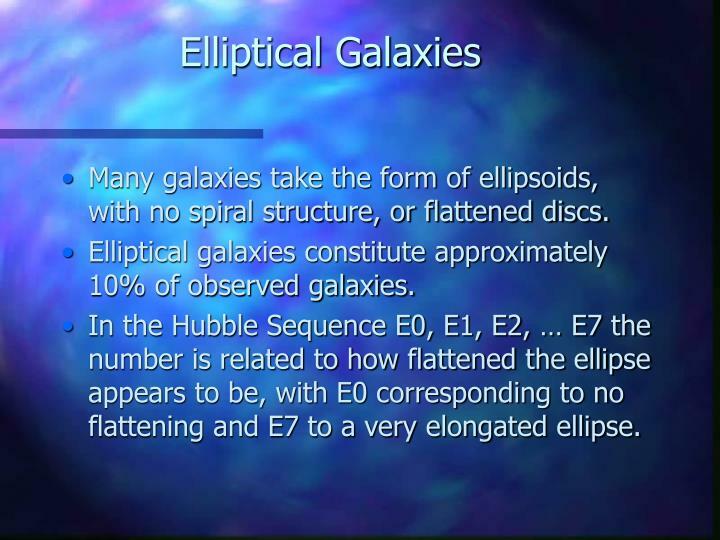 In the Hubble Sequence E0, E1, E2, … E7 the number is related to how flattened the ellipse appears to be, with E0 corresponding to no flattening and E7 to a very elongated ellipse. 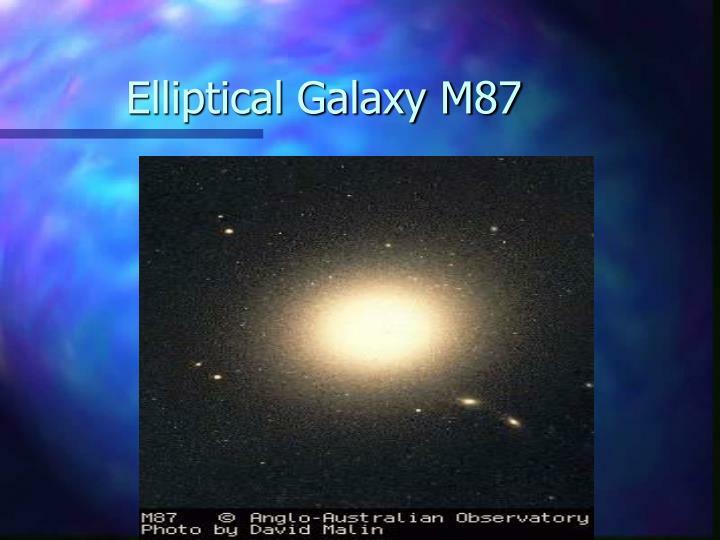 The masses of elliptical galaxies range from approximately 107 up to 1013 solar masses. The corresponding range of diameters is about 1/10 kpc up to 100 kpc. 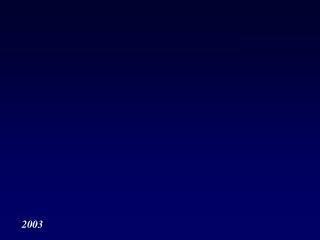 The absolute blue magnitude varies over a correspondingly large range from -8 to -23. 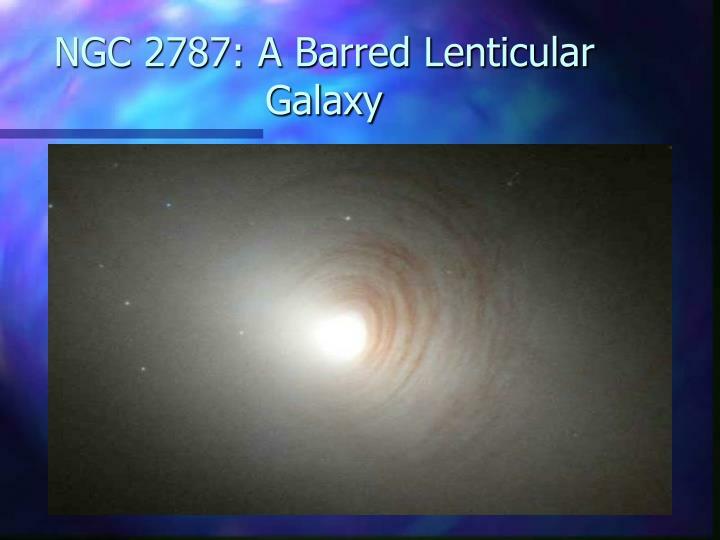 Elliptical galaxies exhibit far less evidence for young stars, gas, or dust, than do spiral galaxies, and have larger random motion than in spiral galaxies where the motion is a more ordered rotation. 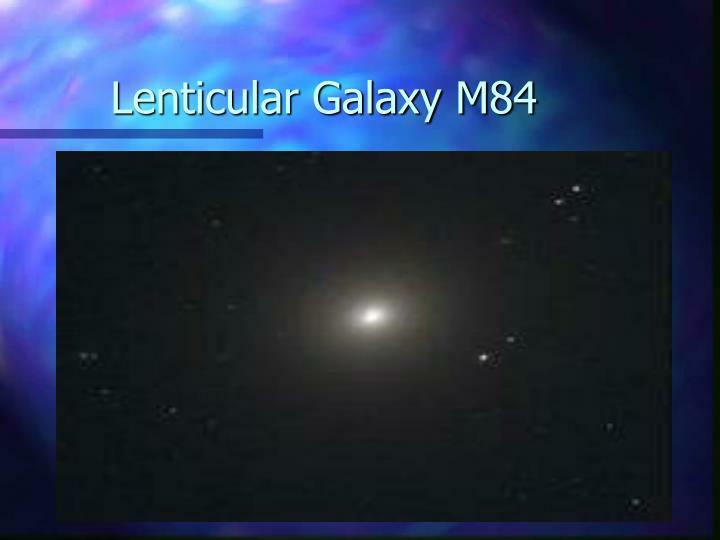 Lenticular galaxies are the intermediates between spiral, and elliptical galaxies. 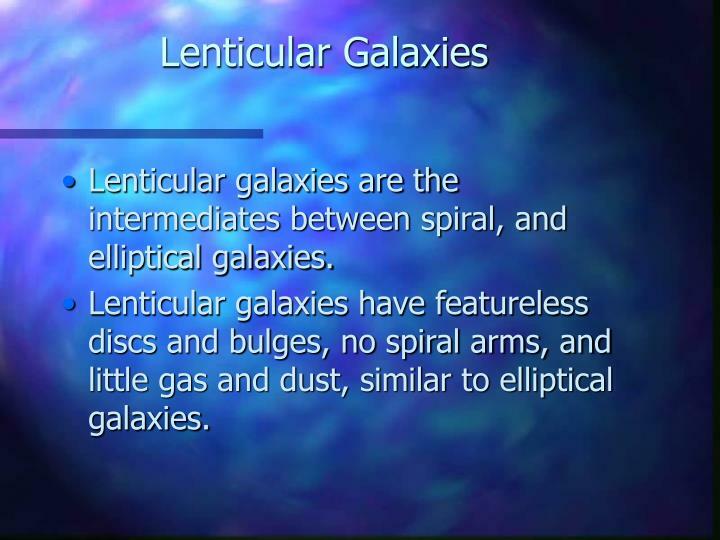 Lenticular galaxies have featureless discs and bulges, no spiral arms, and little gas and dust, similar to elliptical galaxies. 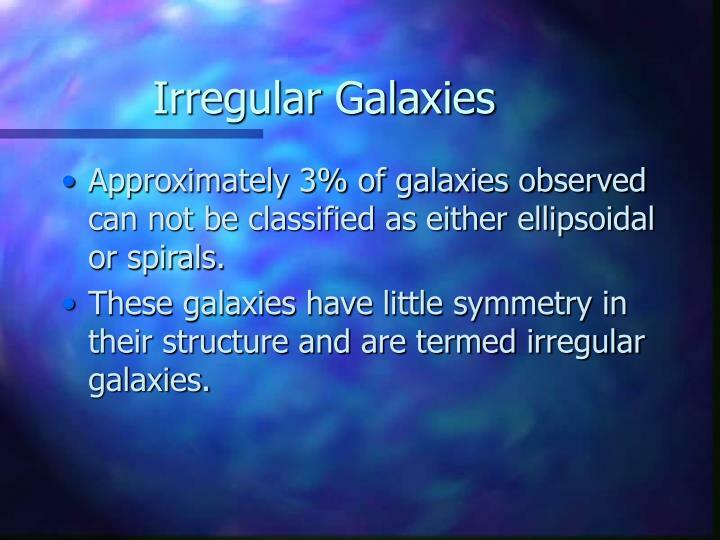 Approximately 3% of galaxies observed can not be classified as either ellipsoidal or spirals. 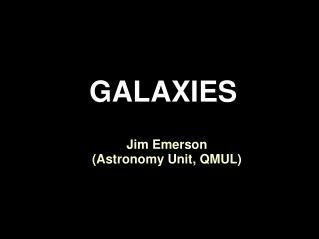 These galaxies have little symmetry in their structure and are termed irregular galaxies. 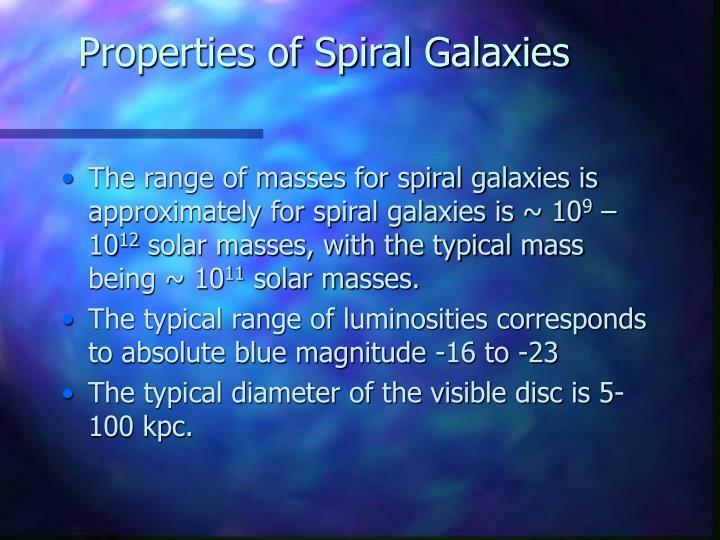 Irregular galaxies have masses in the range of 108 to 1010 solar masses. 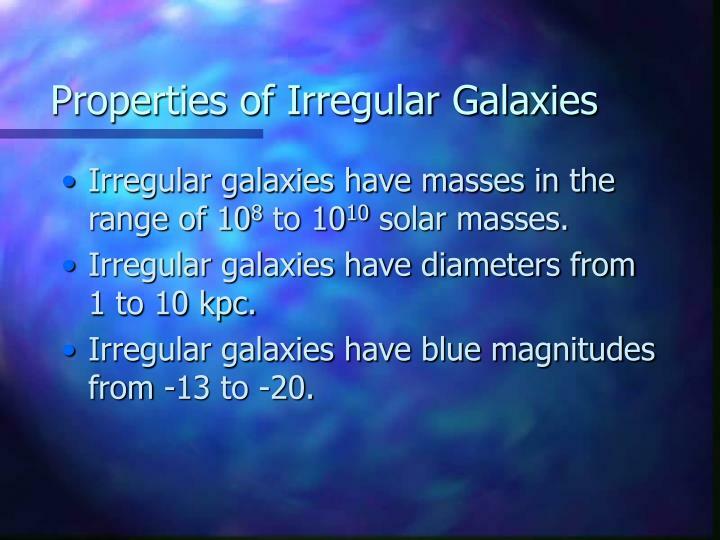 Irregular galaxies have diameters from 1 to 10 kpc. 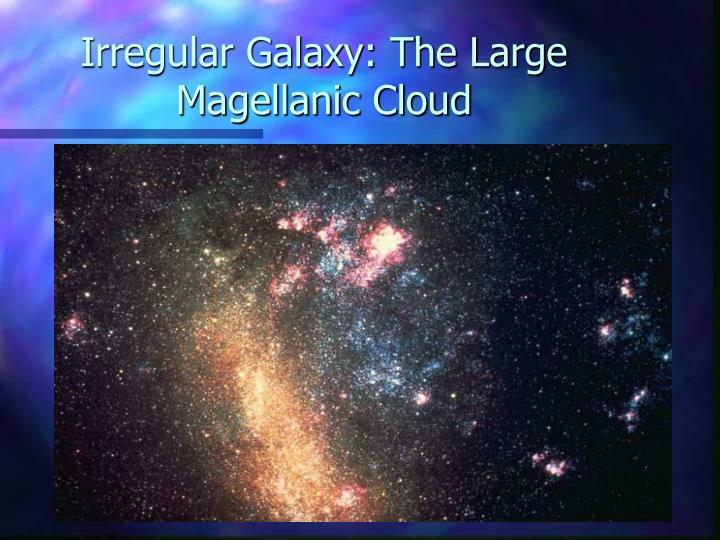 Irregular galaxies have blue magnitudes from -13 to -20. 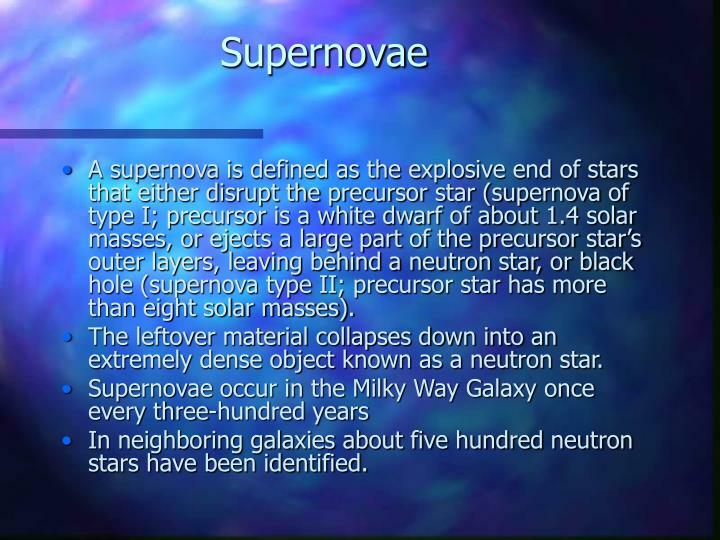 A supernova is defined as the explosive end of stars that either disrupt the precursor star (supernova of type I; precursor is a white dwarf of about 1.4 solar masses, or ejects a large part of the precursor star’s outer layers, leaving behind a neutron star, or black hole (supernova type II; precursor star has more than eight solar masses). The leftover material collapses down into an extremely dense object known as a neutron star. In neighboring galaxies about five hundred neutron stars have been identified. 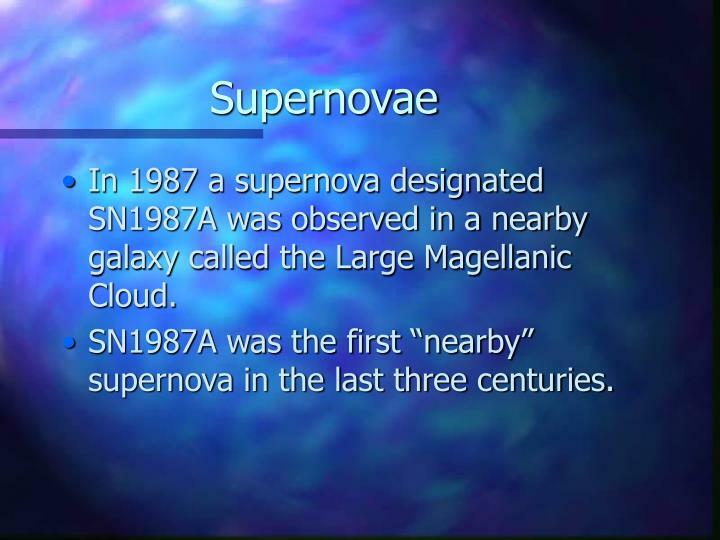 In 1987 a supernova designated SN1987A was observed in a nearby galaxy called the Large Magellanic Cloud. 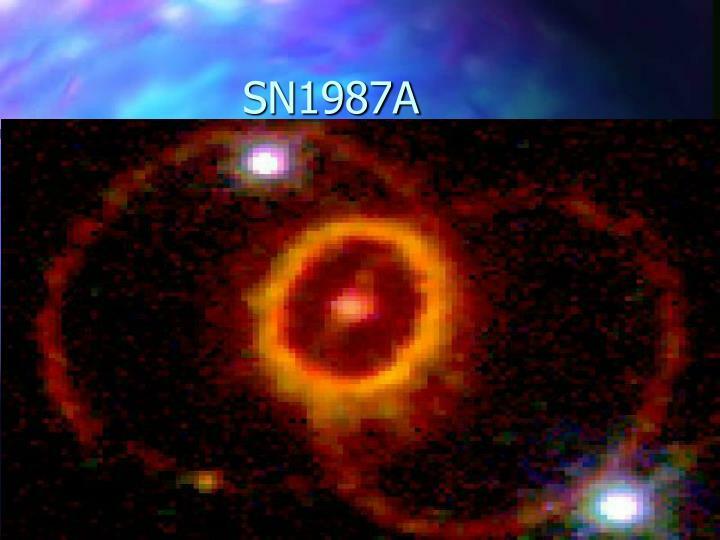 SN1987A was the first “nearby” supernova in the last three centuries. 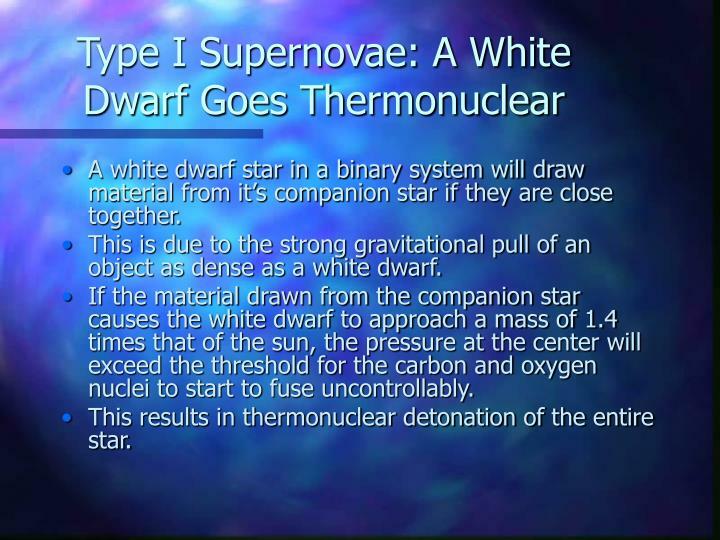 Type I supernovae result in some binary star systems in which a white dwarf is accreting matter from a companion. 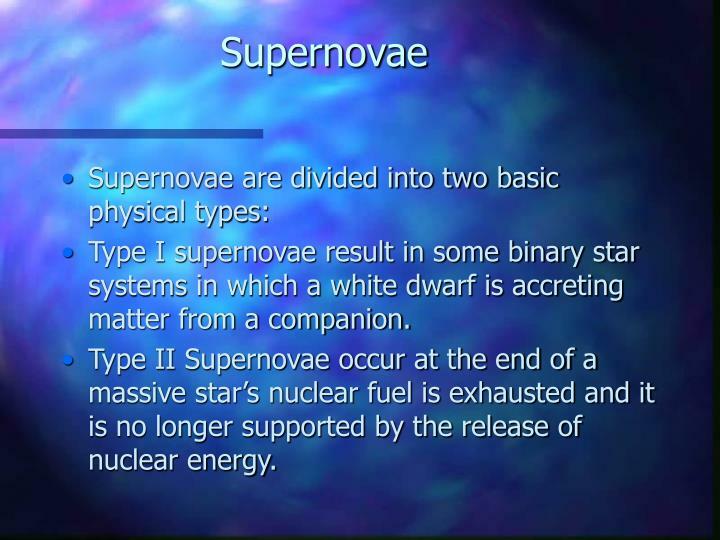 Type II Supernovae occur at the end of a massive star’s nuclear fuel is exhausted and it is no longer supported by the release of nuclear energy. A white dwarf star in a binary system will draw material from it’s companion star if they are close together. 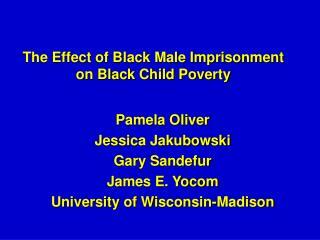 This is due to the strong gravitational pull of an object as dense as a white dwarf. If the material drawn from the companion star causes the white dwarf to approach a mass of 1.4 times that of the sun, the pressure at the center will exceed the threshold for the carbon and oxygen nuclei to start to fuse uncontrollably. 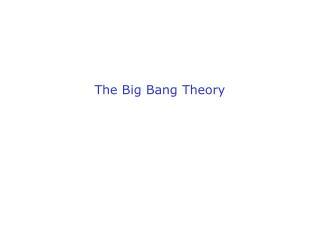 This results in thermonuclear detonation of the entire star. 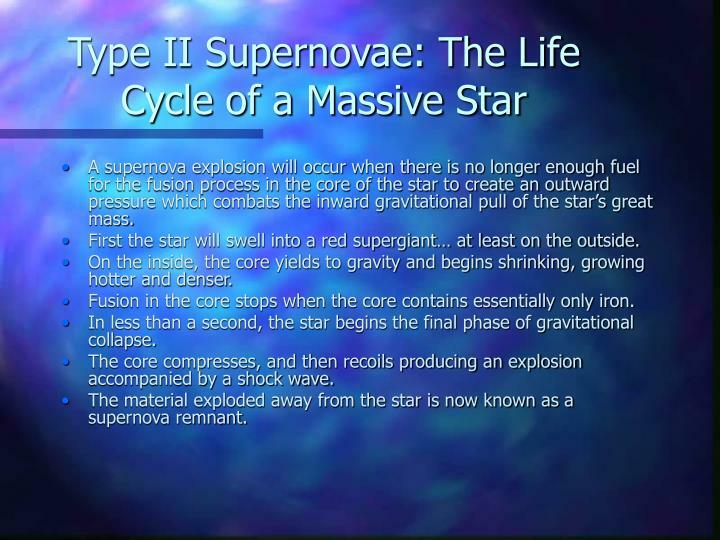 A supernova explosion will occur when there is no longer enough fuel for the fusion process in the core of the star to create an outward pressure which combats the inward gravitational pull of the star’s great mass. 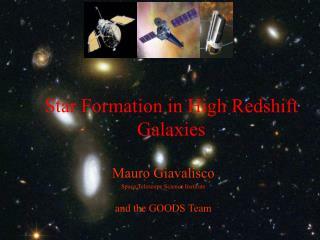 First the star will swell into a red supergiant… at least on the outside. On the inside, the core yields to gravity and begins shrinking, growing hotter and denser. Fusion in the core stops when the core contains essentially only iron. In less than a second, the star begins the final phase of gravitational collapse. The core compresses, and then recoils producing an explosion accompanied by a shock wave. The material exploded away from the star is now known as a supernova remnant. 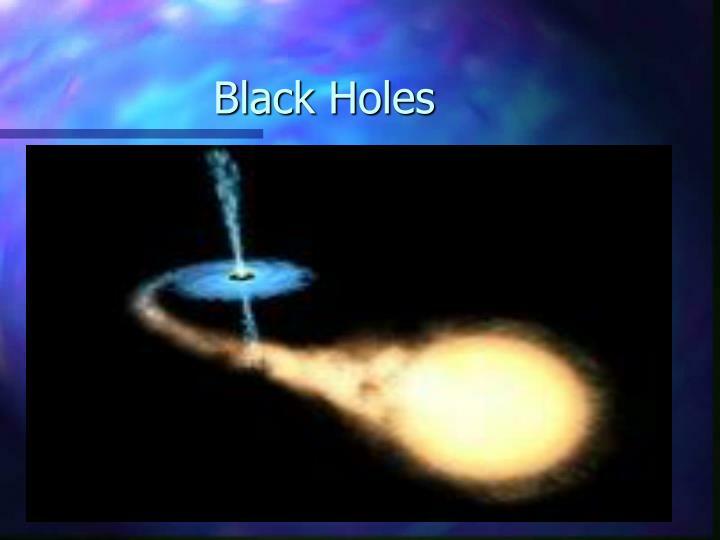 A black hole is defined as a region of space-time whose gravitational pull inside a certain radius is so strong that nothing, not even light can escape it. 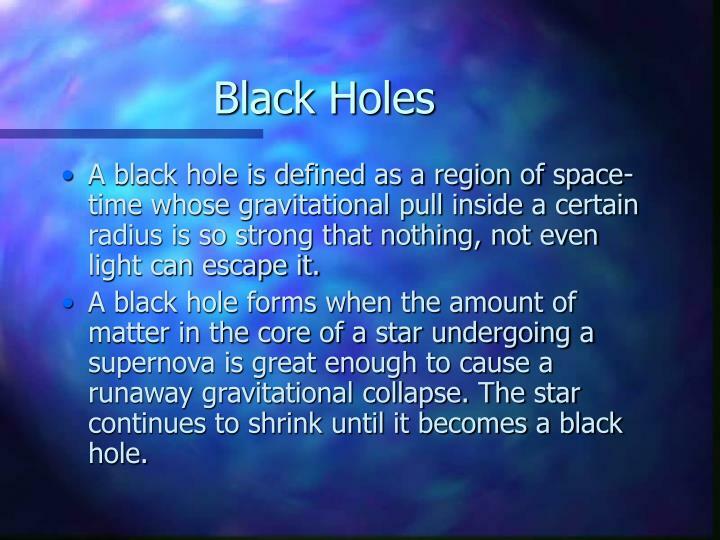 A black hole forms when the amount of matter in the core of a star undergoing a supernova is great enough to cause a runaway gravitational collapse. The star continues to shrink until it becomes a black hole. 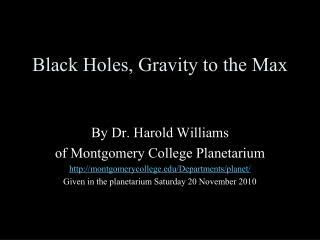 The event horizon is the point outside the black hole where the gravitational attraction becomes so strong that the escape velocity equals the speed of light. 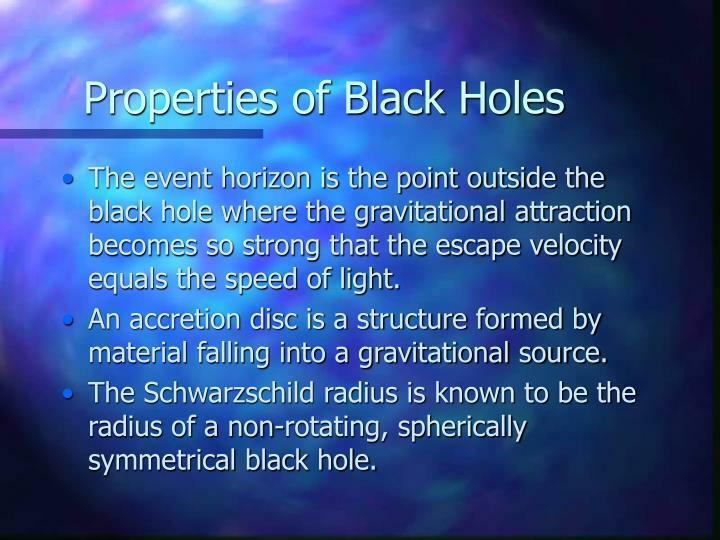 An accretion disc is a structure formed by material falling into a gravitational source. The Schwarzschild radius is known to be the radius of a non-rotating, spherically symmetrical black hole. 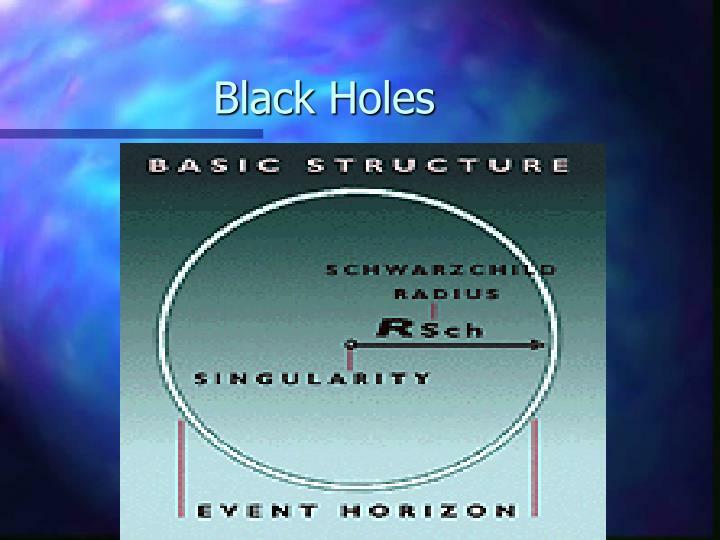 Schwarzschild black holes: uncharged, zero angular momentum. 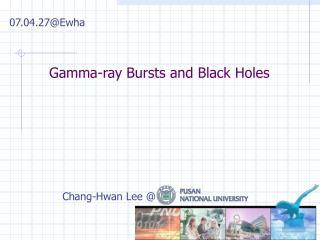 Kerr black holes: uncharged, non-zero angular momentum. 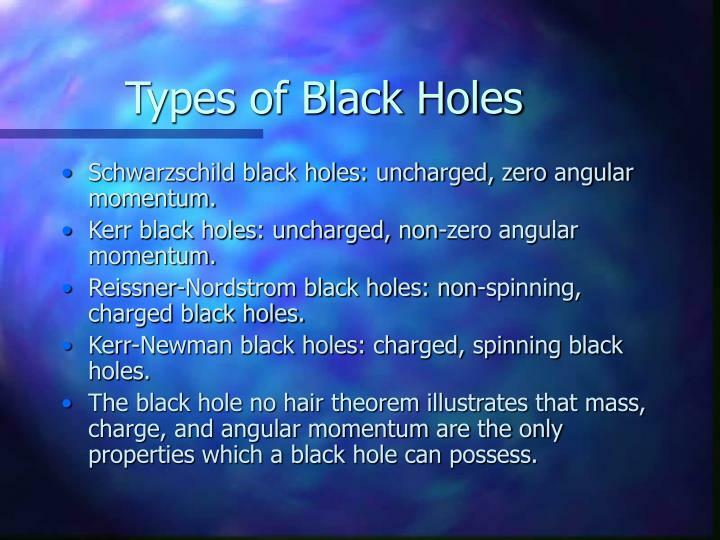 Reissner-Nordstrom black holes: non-spinning, charged black holes. 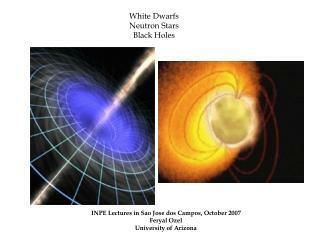 Kerr-Newman black holes: charged, spinning black holes. 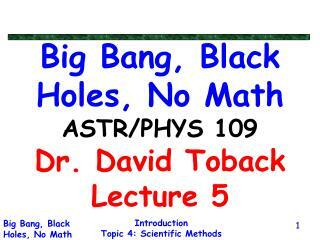 The black hole no hair theorem illustrates that mass, charge, and angular momentum are the only properties which a black hole can possess. 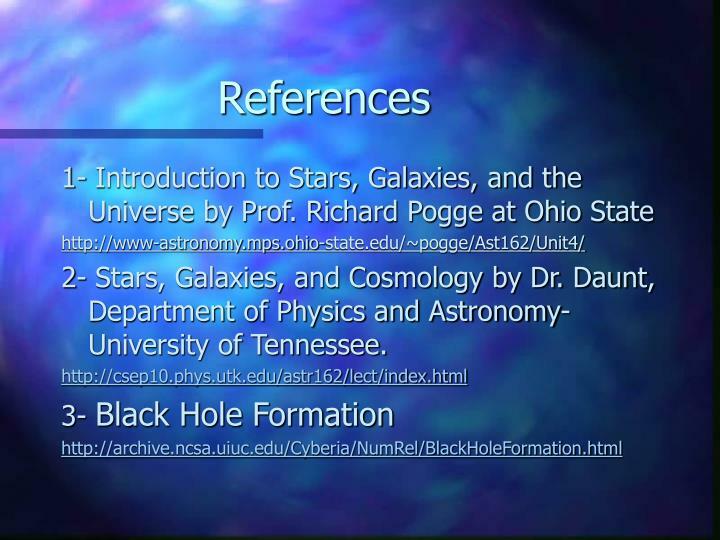 2- Stars, Galaxies, and Cosmology by Dr. Daunt, Department of Physics and Astronomy-University of Tennessee. 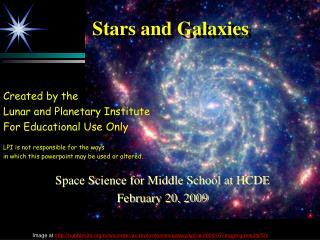 PHY 102 – Atoms to Galaxies -. 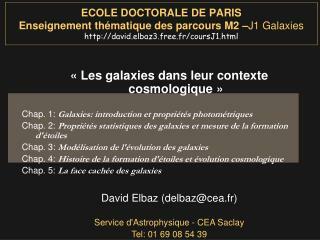 phy 102 – atoms to galaxies. our early human ancestors most certainly looked at the night sky, and wondered. waves. chapter 8: light &amp; electromagnetism. 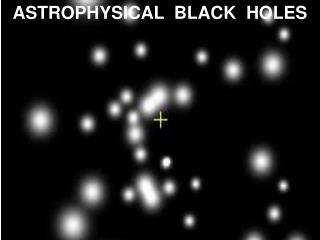 ASTROPHYSICAL BLACK HOLES -. some history. escape velocity v u 2 = 2 gm/r. earth v esc = 11 km/s jupiter v esc = 60 km/s sun v esc = 600 km/s moon v esc = 2 km/s. 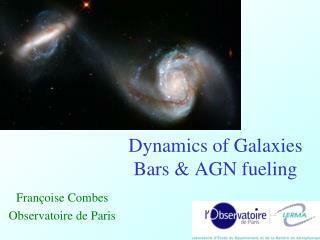 r = 2 g m/v esc 2. j. michel p.
PHY 102 – Atoms to Galaxies -. 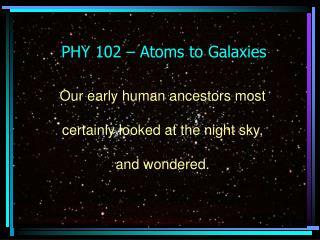 phy 102 – atoms to galaxies. our early human ancestors most certainly looked at the night sky, and wondered. 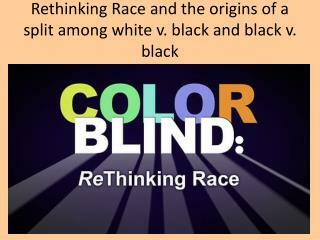 newton’s corpuscular theory of light had a few difficulties, such as explaining refraction.